Video #1 "Very strong K2 spike"
This is in the living room of the Ax Murder House. We did several walk throughs of the house during the day and night and we had basically no K2 spike readings. What a K2 measures is energy...a green or light yellow spike is what you would typically get if you were trying to find something eletrical in your walls. All the sudden in the living room we started getting very strange feedback in our voice recorders and camcorders....followed by a very strong K2 spike to the strongest "red" color...which indicates a huge amount of energy. We can not explain what could have caused this sudden spike of energy to hit the K2 and mess with our equipment. We also capture what looks like two different balls of light right by the K2 meter. Interesting video to say the least. At the beginning of this video is almost sounds like a distorted "John" followed by a clear "Michael". Let us know what you think. It is strange because my first and second name is John Michael. 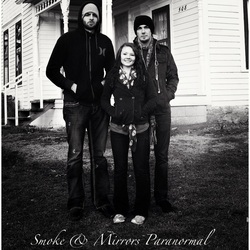 We were using a SB7 spirit box that scans quickly through white noise to help spirits communicate. It was scanning in reverse here so there is little to no feedback. VIDEO #3 "Orb into my head"
During our SB7 session we capture around .06 seconds in this video a fast moving orb moving from right to left right into my head. There is a second orb followed right behind it going into my head as well...this one is harder to see on the video since we have uploaded it. VIDEO #4 "sb7 response & Orb"
Around .02 you will hear a clear response come through on the SB7 spirit box but we can not make out exactly what it says. Shortly after that on the right side of the video we capture a glowing ball like orb moving from top to bottom of the right side of the screen. I am asking one of my favorite questions during an investigation..."Do you realize that you are dead?" I usually get a good response from this question. I ask once and get no response...as I am asking again I get a response of the SB7 spirit box that sounds to us like a "Yes". You can hear this around .12. 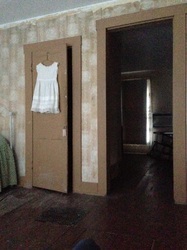 In 1912....There were 8 people murdered in this house. During an SB7 session I ask how many people were murdered here.....I recieve the correct response...what more can you say. Great video! We captured what clearly sounds like a female voice saying "welcome". 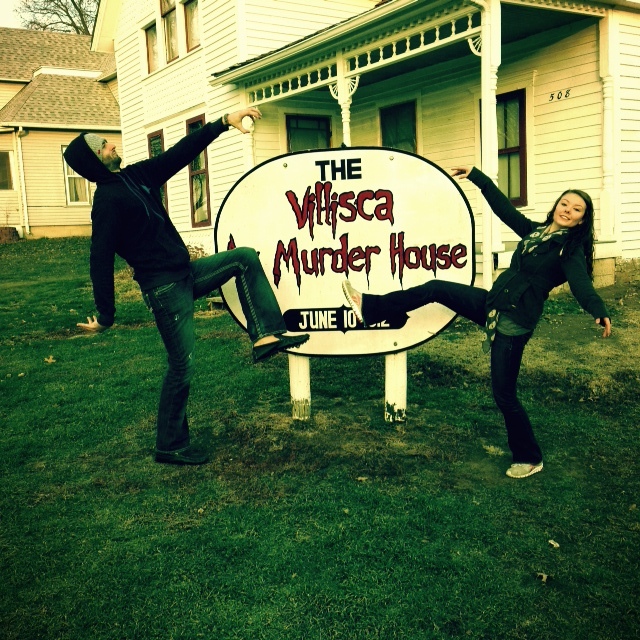 While in the Ax Murder House we feel very thankful to be welcomed! We experimented with the flash light trying to communicate all during the night and we never had any responses except in this bedroom. The flash light had been sitting there for at least 20-25 mins. before anything happened. The start of the light turning on/off did not last long. 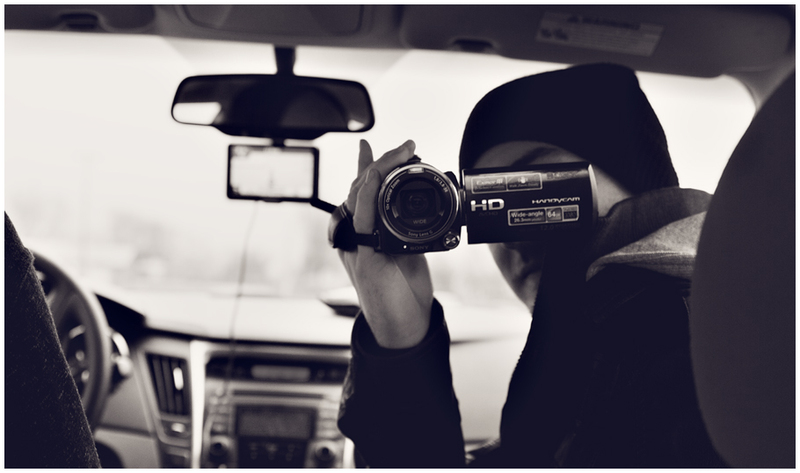 The reason we turned night vision off is to show you guys what we see all night...except the small screens with our night vision. I ask for a knock response to know that the spirit or spirits understand what I am trying to say to them...shortly after we recieve a knock around .15 seconds in this video. EVP #1 "That's F**king Hot"
This is in the living room of the Ax Murder House. Kellen was setting up her photography equipment and she had a new really large bright light on used to created light in the dark house.....we capture what sounds like a female voice saying "that's f**king hot". Was this spirit talking about the light? EVP #2 "Help Me Step Back"
Around .05 seconds you will hear a voice that is faint that sounds like it is saying "help me step back". We were upstairs in the ax murder house by the door leading into the attic. 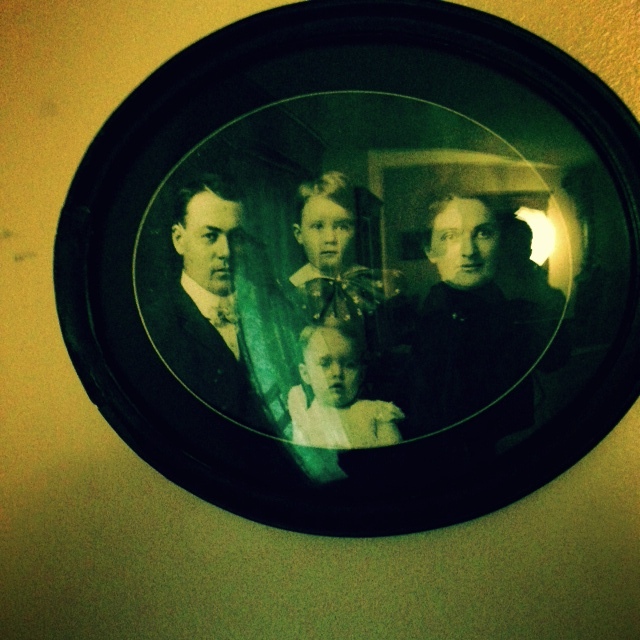 Interesting EVP. While this recorder was recording we were out of the house. It was around 2a.m. and we took a break outside and left a recorder recording inside...you will hear the recorder get some kind of feedback and then around .12 seconds you will hear what sounds like a spirit voice say "get them"
This is the same recording as EVP #3....We were out of the house the recorder was recording in a dead still Iowa night inside the Villisca Ax Murder House. We can not make this out however it sounds like a disembodied voice to us. You can hear this around .09. 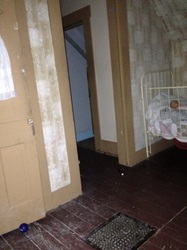 While conducting an SB7 Spirit Box session we asked "How many people died in this house? "....We got a response shortly after that sounds to us like the CORRECT answer...which was 8. You can hear this around .15. 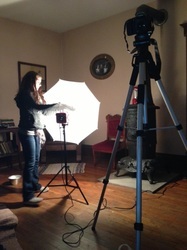 SB7 session we capture what sounds like a female spirit or a young spirit saying what sounds to us like "welcome". another sb7 session we pick up a clear voice that says what sounds like "you broke it" you can hear this around .13 seconds. While conducting spirit box sessions we go a long time with no responses. We captured this fairly clear male spirit voice....but can not 100% make out what it exactly says. Pretty interesting EVP we capture upstairs in the children's room. Not exactly sure what to make out of the meaning of this. It calls my name out. You can hear "John" around .02 seconds and "break her" around .04. I ask if the spirits in the house realize that they are dead.....I get a quick response of "no." 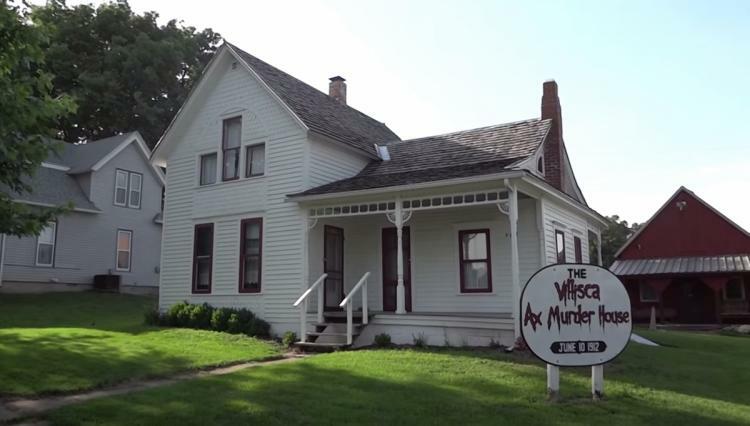 Another SB7 session upstairs at the villisca ax murder house we capture this Okay...and what sounds like a fast "come here". 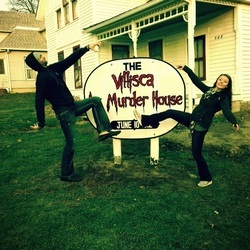 While in the living room of the ax murder house Kellen was setting up her photography equipment and I asked if anyone wanted to come and take a picture with me. Matthew then said "Herman does"....Herman is one of the children that was murdered in the house. We get a respnose....it isn't clear...but sounds like a yeah directly responding. 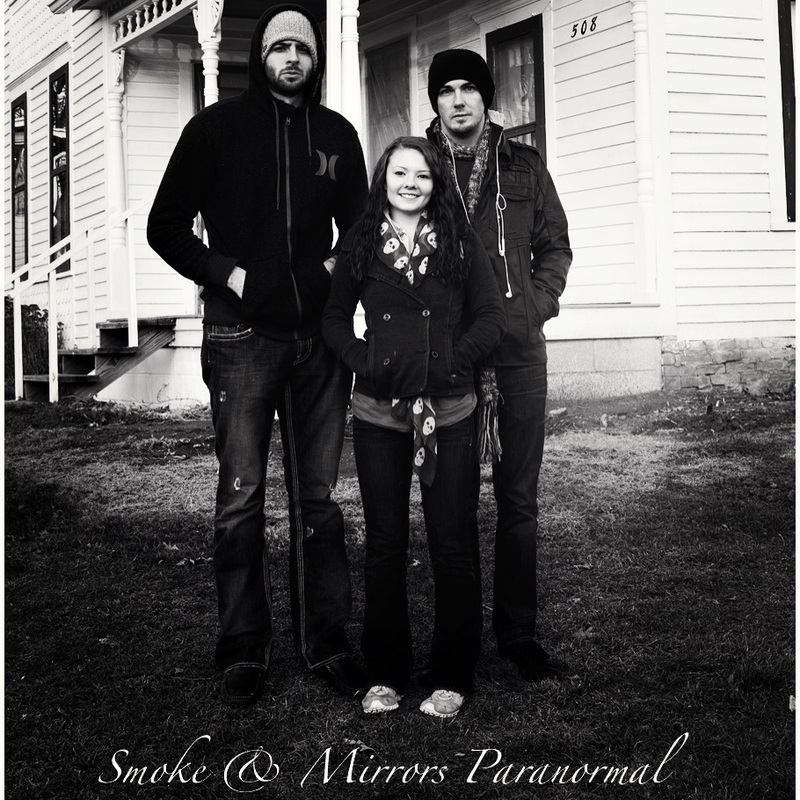 We captured this pretty clear EVP of what sounds like "slow down".